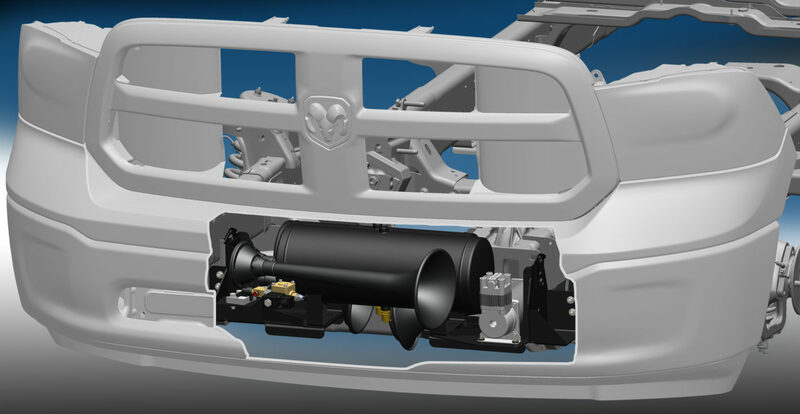 The RAM Onboard Air System was designed to provide Ram truck owners a heavy-duty onboard air system for work and play. 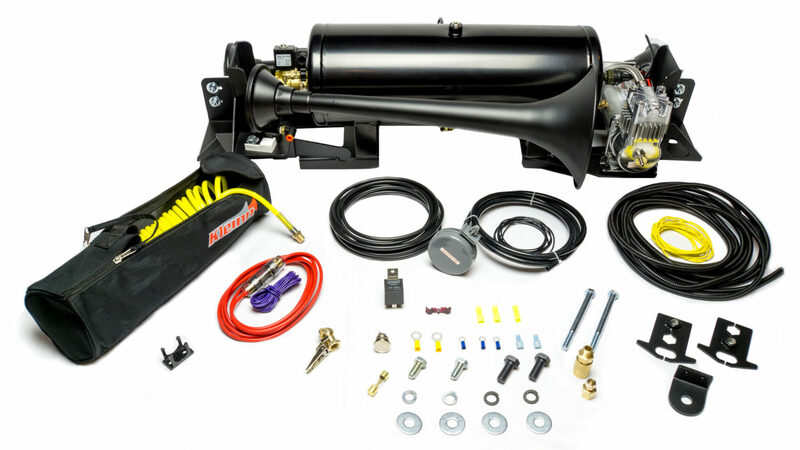 The 100% Duty-Cycle system will supply air for inflating tires, powering air tools, air suspension and of course, honking your Kleinn Train Horn. 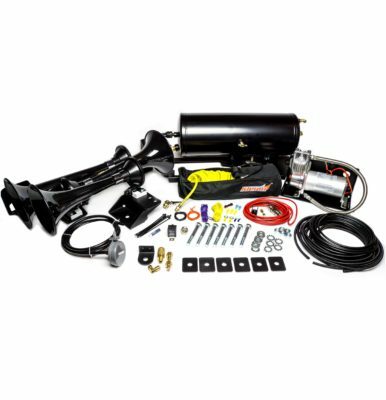 These kits include one of two Kleinn exclusive heavy-duty 150 PSI WATERPROOF air compressors, 3-gallon air tank and custom-made mounting brackets. The kits are 100% Bolt-On and require no drilling, welding or vehicle modification. You no longer need to spend hours designing and fabricating mounting brackets to install your air system and train horn. Included is a remote mount quick connect 30-foot tire inflator with storage bag, all necessary hardware, airline and wiring. Kit also features our online downloadable detailed installation instructions. The RAM 1500 and RAM HD kits are available with either the Model 730 “Demon™” or Model 230 “The Beast™” triple train horns or as a stand-alone Onboard Air System without the train horn.